Friday the 13th (1980). . HD Wallpaper and background images in the Friday the 13th club tagged: friday the 13th original 1980 slasher horror film wallpapers fan made. 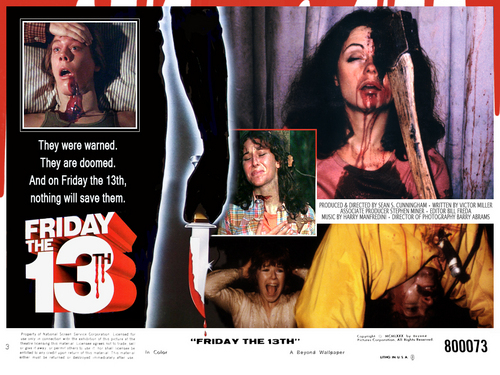 This Friday the 13th wallpaper might contain newspaper, paper, magazine, tabloid, rag, anime, comic book, manga, and cartoon.